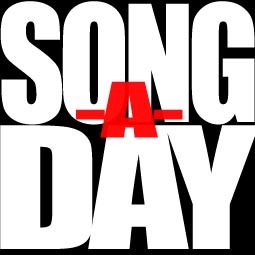 Some truly amazing music rolling out of the 2012 Song-A-Day crew so far. The month is nearly done and people are feeling it. I'm feeling it. There are more of course. This is just the list of files in the triple-digits. Go listen! I love that netscrap.com is popular with the folks who use stumbleupon. People have had a fun time reading through the scraps and often email me about it. Every once and a while everyone converges on a piece of scrap almost all at once. Kinda cool how easy google analytics makes it to see the piece of content that's performing and then get a quick breakdown of all the referrers. Just a few clicks helped me peg stumbleupon as the source. There's not enough detail to tell me exactly what page is driving traffic to netscrap.com. Was it from the homepage or some other highlight? Who knows. It's probably over now anyway. FWIW- NetScrap.com is hosted on a single shared server on http://www.intermedia.net/, which has been pretty good about these spiky traffic events. NetScrap is also running on zombie technology for over 10 years (though CF may have briefly been not-zombie) with minimal down-time (and fortunately minimal features). One of my day-to-day responsibilities involves troubleshooting problems with banner ads. You might not realize what goes on when your browser loads a page full of ads; most of our brains have been trained to ignore these things. But wow, take a peek under the hood sometime. You'll find some of the hairiest stuff around. ME: ever get that feeling? DOOD: who wrote that? Someone on our team or a 3rd party? ME: just thought you'd like to know. ME: enjoy life. the end is near. DOOD: and it made me doubt the future of mandkind, as we are all brothers. ME: that's a good one. DOOD: but they have to be real, culled from real source. I guess the reason this gets my goat is that I face this question every day: does it matter if software is 'done right'? Ultimately it seems that the true measure of 'rightness' is whether the business is succeeding, not the correctness of the minutiae. For a guy whose background is QA, this is a tough pill to swallow. Anyway, Dood -- good thinking about the netscrap feature. So toss a few things onto the scrap heap (put in the Tech category) and I'll put them up.